NATPE’s 16th Annual Brandon Tartikoff Legacy Awards are going to comedian and media mogul Byron Allen, producer Mara Brock Akil, former chairman of NBC Entertainment Robert Greenblatt, actress, singer and dancer Rita Moreno, award-winning actress and comedian Betty White and actor Henry Winkler. They will receive the prestigious award at a special reception on Wednesday, Jan. 23, at the Eden Roc in Miami Beach, Fla. NATPE said. NATPE’s Miami Marketplace & Conference takes place Jan. 22-24 at the Fontainebleau Hotel in Miami Beach. The 2019 Tartikoff Legacy Award recipients are recognized for exhibiting their extraordinary passion, leadership, independence and vision through their diverse work in being a part of the creation and distribution of content for the world’s traditional and digital marketplaces. Named in honor of Brandon Tartikoff, one of the most esteemed programmers in the history of television, the award was created to acknowledge a select group of television professionals who have demonstrated the highest degree of excellence in their field. Byron Allen is the founder, chairman, and chief executive officer of the global media and technology company Entertainment Studios. He owns eight television networks, including The Weather Channel, which was acquired in March 2018. 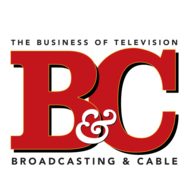 The company also produces, distributes, and sells advertising for 41 television programs, making it one of the largest independent producers/distributors of first-run syndicated television programming for broadcast television stations. With a library of over 5,000 hours of owned content across multiple genres, Entertainment Studios provides video content to broadcast television stations, cable television networks, mobile devices, multimedia platforms, and the World Wide Web. Other notable divisions of Entertainment Studios include Entertainment Studios Motion Pictures, which released 2017’s highest-grossing independent movie, the shark thriller 47 Meters Down, and TheGrio, a digital video-centric news community platform devoted to African-Americans with compelling stories and perspectives currently underrepresented in existing national news outlets.